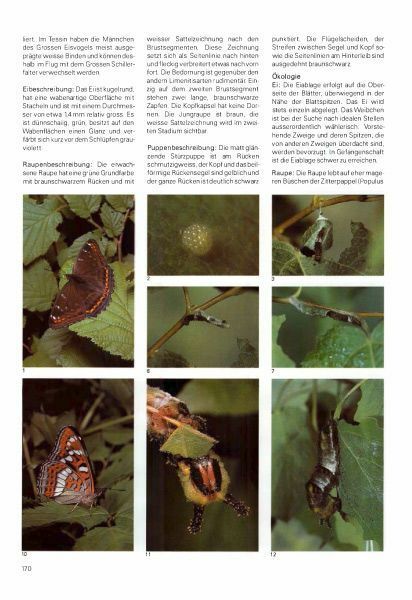 Content: Life of butterflies and their development. The habitats. 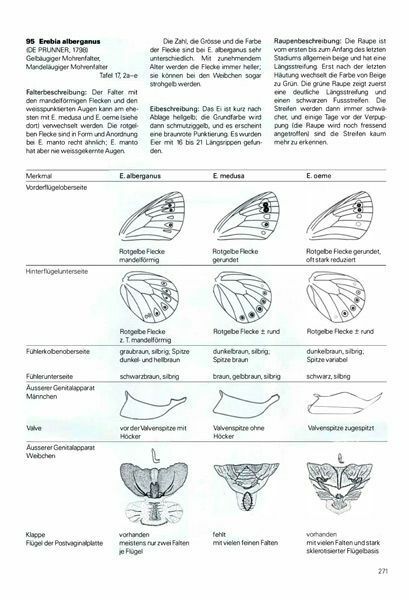 The decline in butterflies. Protective measures. 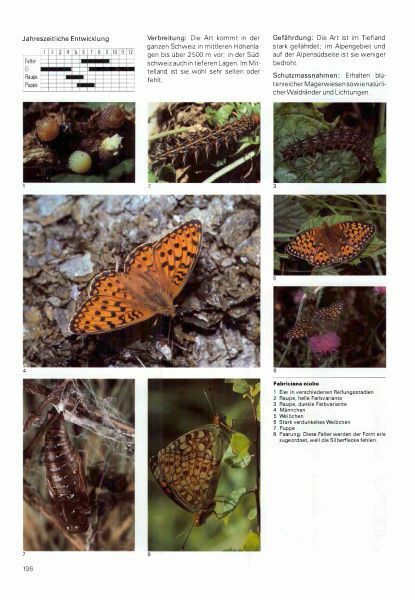 Families covered: Papilionidae, Pieridae, Nymphalidae, Satyridae, Lycaenidae. 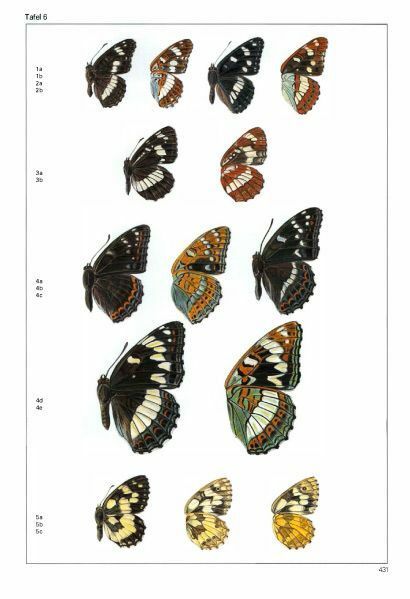 Size: More than 1,300 color images, over 600 line drawings, 25 color plates, XI + 516 pages. 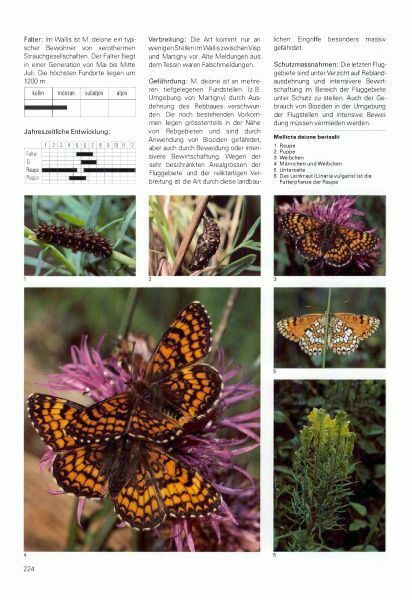 Description: Many native butterflies have disappeared from their ancestral habitats or are so decimated that their survival is questionable. 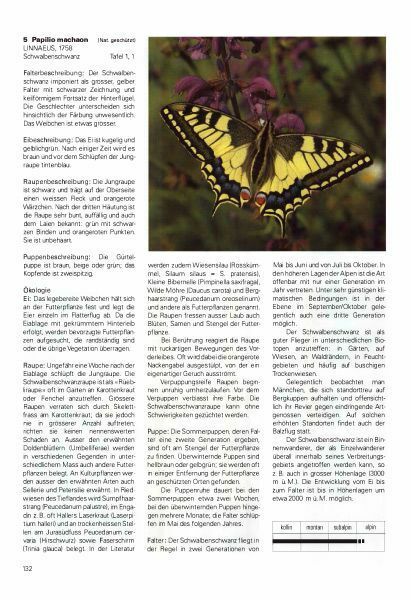 Some species are already extinct in Switzerland. Lately, great efforts have been made to halt the decline of the species. 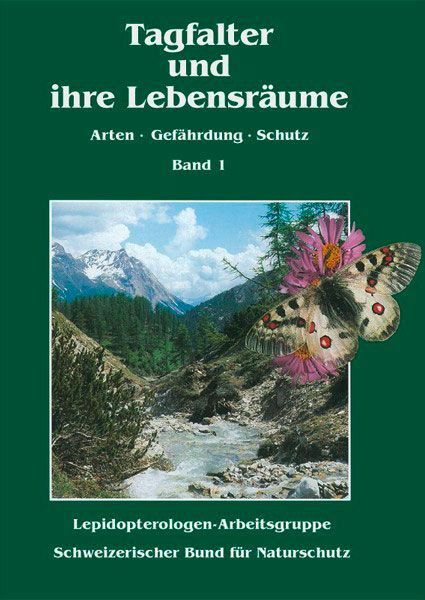 However, it lacked a book on the butterflies, which mediates the environmental aspects and the knowledge of the respective habitats. 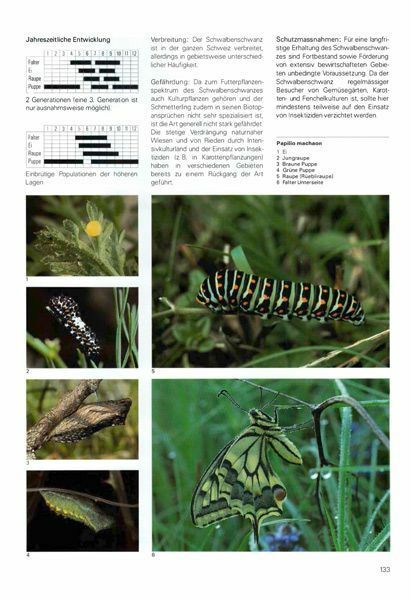 With the aim to close this gap, professional and amateur lepidopterologist from all over Switzerland have teamed up and created an outstanding book representing the current knowledge. 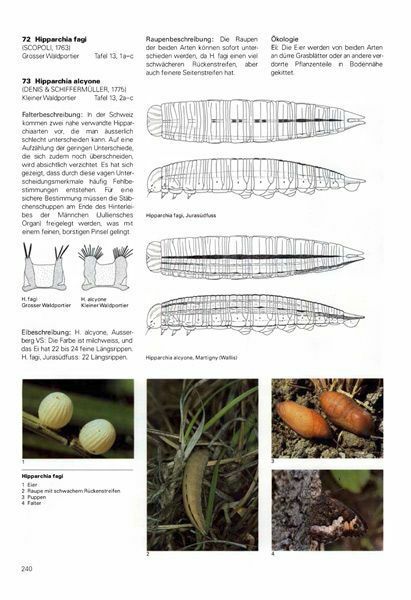 The book is available in German and French. Please see on the corresponding pages for ordering information. 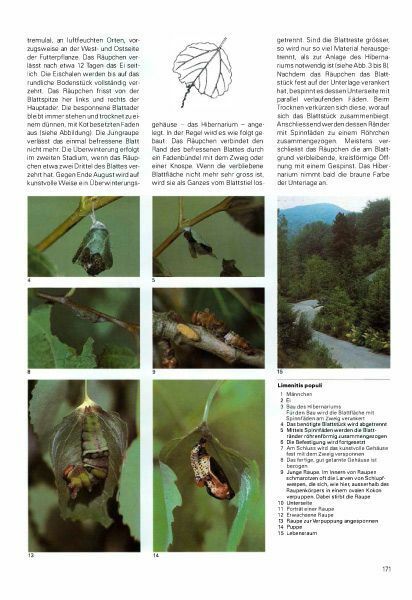 This work was only possible through the volunteer work of the authors and thanks to the support of many donors!